It is hard to believe that our older children are just a couple years away from graduating high school. Honestly, it is quite frightening. This is where the rubber hits the road. We consistently educate our children, but there is always that lingering question of if we are doing enough. Are the kids going to be prepared for the next steps in their life? The first part of this question is in helping them to figure out what direction they are heading. We recently had a chance to review the DISC Career Style Report published by PeopleKeys to help answer that question. The DISC Career Style Report is one element of a much bigger array of assessment tools. PeopleKeys has reports that will help to enlighten the user on their personality type, people skills, learning style, and values style report. The company has expanded into the homeschool market through these tools that were originally designed for the professional work place and highly used by career counselors and HR professionals. The DISC Career Style Report is a tool that could be used by middle school or high school students. It retails on the PeopleKeys website for $32. After being notified that we would be participating in this review opportunity, we received an email from PeopleKeys. The email message contained the necessary links for our daughter to go on-line to take the assessment. It is my understanding that if you were to purchase this product, a similar email would be sent after payment was received. Our daughter followed the links and provided the necessary information. Following the questions about her demographic information, she then completed a series of multiple choice questions that made up the DISC Career Style Report. These questions seemed to be mainly geared at what type of environment she prefers to work in, what her areas of interest are, and whether she likes to work alone or in a group. I am sure there were other types of questions that completed the report, but I did not find the need to hover over her while she took the test. The test was very self explanatory and I was afraid that in explaining too much it would affect her results. After she completed the questions, she submitted her responses for scoring. We were notified both through the on-line interface as well as by email that her results were ready for review. a list of careers that seem to correlate the best with her style. In reviewing all of the information that was shared with us, the tool seemed to be fairly accurate in describing our daughter’s personality and the environment that she likes to work in. The report was in a pdf format and was easily downloaded to our computer and printed. This is a nice feature for future reference. The greatest value of the report was the list of the career choices. The list provided further consideration of possible career development paths and options for a 16 year old that is seriously considering college majors and her future professional life. There was a list of closely matched careers and then a second list that were others that could be considered although that were not as close of a match based on the assessment. Outside of the list of career choices, we struggled a bit with the other information presented. 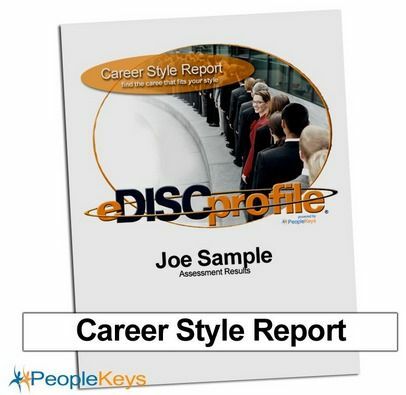 The DISC Career Style Report is just one part of a much larger assessment profile. The breadth of the full assessment was not shared with us in the report. Fully comprehending the significance of our daughter being labelled as a Governor Style or representing the I in DISC as a personality style was difficult in not having a frame of reference in knowing what these were. I am sure that if we purchased the full assessment tool more of this information would have been disclosed in the reports. More information about these styles and classifications can be found through the PeopleKeys website. It would have been extremely helpful if links that there areas of the website would have been referenced in the report. My crewmates from the TOS Review Crew had the opportunity to not only review the Career Style Report but other resources from PeopleKeys. Click on the button below to see what they are saying after reviewing the products from PeopleKeys. 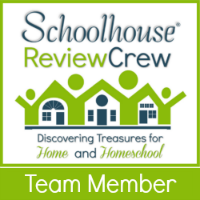 Previous post: No Money to Homeschool? Next post: Baby Runt Pig – Livestock or New Family Pet? ?